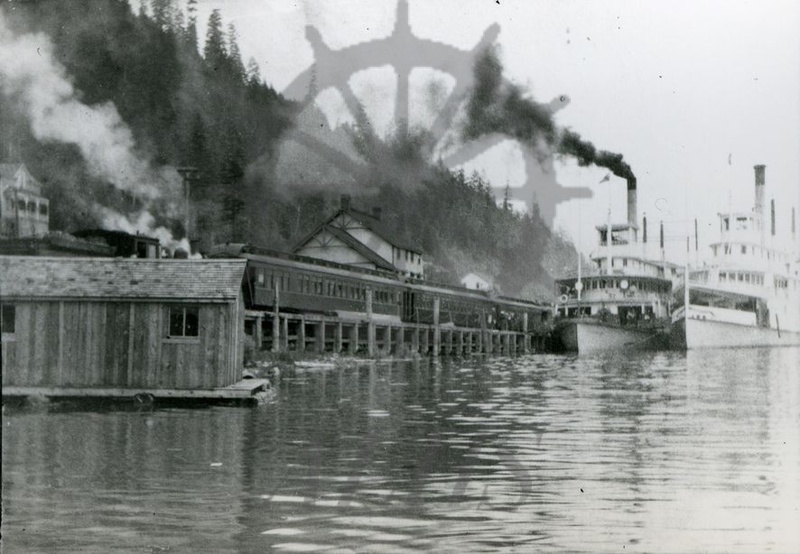 Canadian Pacific Railway station at Arrowhead on Upper Arrow Lake, between 1911-1919. Train seen at centre in front of station. 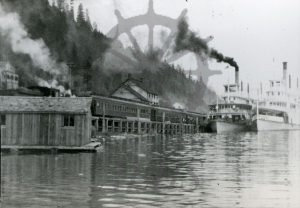 Sternwheelers SS Kootenay and SS Bonnington at right.